A mobile dialler app to connect you with the world! for USD$0.026 per minute per second billing. Replace expensive calling cards used to call Jamaica or simplify calling in Jamaica with one consistent per minute rate regardless of any specific voice or data plan subscribed to. Why use AnywareData versus WhatsApp? Anywaredata (AWD) is a telephone line independent of a specific mobile network that can be used anywhere over any data connection (3g, 4g, Wi-Fi). Unlike WhatsApp, AnywareData is able to directly make calls to someone’s mobile phone, whereas with WhatsApp, one would need to have the application downloaded to receive a call. AWD assigns a Jamaican telephone number to each subscriber enabling them to call other fixed or cell phones without the need of same app on the receiver’s end. Each subscription allows for the user to load the application on up to 3 different smart devices. 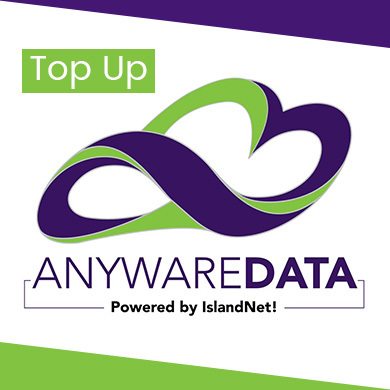 Anywaredata is a telephone line independent of a network that can be used anywhere over data (3g, 4g, Wi-Fi), with J$2.99/USD 0.02 per minute with per second billing to Jamaica, USA, Canada and UK (landline). Anywaredata eliminates roaming fees and you stay connected for less. We’re on a mission to connect you to the world! For Android users, simply download our app from the Google Play store. For iPhone users, complete the iOS SignUp form and then download the app from the App Store. It’s that easy! You can simply download the app from this website or on the text SMS message we sent to you. Once downloaded please enter your AWD credentials that were emailed/text to you and insert into the dialer app only once. When you have completed the sign up process, you are assigned your own personal telephone number (username) to make or receive calls at a consistent rate per second, regardless of where in the world you are. All you need is a stable Wi-Fi or Data connection! You choose the amount applied toward subscription & additional minutes. Anywaredata is a telephone line independent of a network that can be used anywhere over data (3g, 4g, WiFi), with J$2.99/USD 0.02 per minute with per second billing to Jamaica, USA, Canada and UK (landline). Assigning a Jamaican telephone number to each subscriber and allowing each subscription the ability to use the application on 3 smart devices. Eliminate roaming fees and stay connected for less. Go to www.anywaredata.com then select the plan or the amount of pay as go needed. Add your selection to your cart and check out, then fill out the form, select referral and then pay for your selection. What is the clarity of this service? Crystal clear- try it today! How do I top up my minutes? The Anywaredata website provides a Top Up (direct to top up page) page where the only thing needed is your AWD number and your email. You are then directed to an online checkout where you are able to pay with a variety of different credit cards of your choice or through PayPal. Unable to do so, there is an Alternate Payment Options link (direct it to the page) that will available as of September 1st. This page provides information on the other ways you will be able to to pay for your Top Up. Can I move my Anywaredata to another phone? Yes, Anywaredata can be used on any three smart devices. What is the value in this product? The value in AWD is that it assigns a Jamaican telephone number to each subscriber that is available to each be used on any 3 smart devices. Then so, you are allowed to directly make calls to someone without the need of the same app on the receiver’s end. AWD eliminates roaming rates and enables you to stay connected for less. Can I receive calls from any network? You can receive calls from any telecommunication provider globally once on data or WiFi. Will this app be blocked from making calls eventually on our local network? This app is powered by a licensed telecommunication company so a local carrier will not block the service. What number will people see when I call? Anywaredata has three reseller programs. That has different commissions assigned and parameter and has to me authenticated by ANYWAREDATA. For more information, contact sales@anywaredata.com. Does this app stay open on the back end? Once open, it stays open until exited. Can I make calls to anywhere? Yes. Anywaredata is an additional phone line that once data or WiFi is available can call UK (landline), Canada, Jamaica, and USA for 2.6 cents per minute with per second billing. Check our AZ rates for calling anywhere else in the world. Do the persons I am calling need to have Anywaredata?